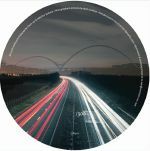 Review: Owen Jay and Melchior Sultana are frequently found working in tandem on their particular brand of contemporary deep house, and this is the second time they've been snapped up by Contrast Wax following The Aftermath EP back in 2014. 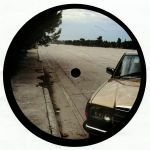 The mood is smooth and sultry on the title track for this new 12", with a sensual sax lead taking centre stage over the kind of gentle bump that would sit comfortably on Guidance Recordings. 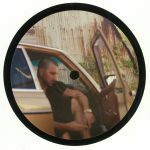 "Bubbles Floating In The Sky", as the title would suggest, is an equally mellow mover, while B-side lounger "Saturn" heads into even calmer waters with its hushed pad tones and technoid synth pulses. 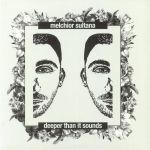 Review: Melchior Sultana has not been short of labels to release on over the past few years, from deepArtSounds and Three Fingers Musique to Minuendo and 12Records, but here he can be found inaugurating the Profound Sound label with some of his trademark deep house tones. "Feel This" is a shimmering, nocturnal groover with mystery to match its subtle funkiness, while the live edit of "Give It To The Moon" has an easier vibe about it with its lingering, warm pads and breezy swing. 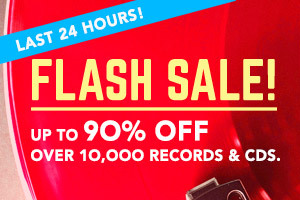 "Treasures" shakes things up with a jazz funk twist, letting effervescent instrumentation flirt around the crooked house beat with stunning results and then the slow, sensual original version of "Give It To The Moon" cradles the remaining run time of the EP in a downtempo haze of easy beats and stirring vocals.